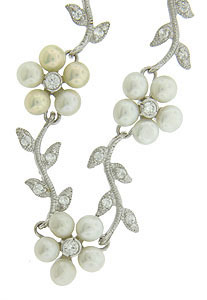 Interlocking links of diamond frosted vines and pearl posies with diamond faces connect to form this romantic antique style necklace. The vine and leaved are outlined in delicate milgrain decoration. 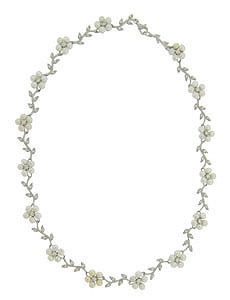 The necklace is fashioned of sterling silver and measures 16" in length.